We started a new tradition last year by collecting our Top 100 tracks from the year that had passed. We will of course continue this mission this year too, and the next, and the next... As everybody know, not all songs are on Spotify, for example from smaller producers and special remixes. 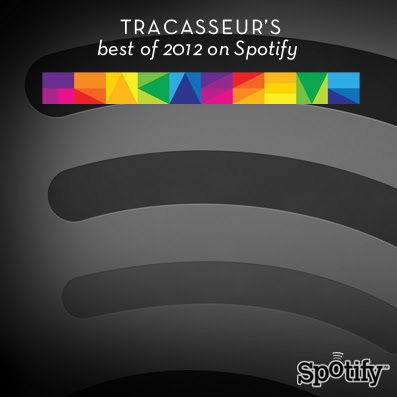 We have based this list on Tracasseur's two Best of lists but also added another 50–60 tunes that deserves to be on a bigger list. So here you have your smorgasbord from 2012! Spread the word our fine friends, this list is for you! Really loved last years list. It introduced me to some great artists. Thanks!